both in the mind and body. " Pilates on 3rd opened its doors in Jacksonville Beach in December 2011. With a high-energy, positive atmosphere and a unique approach to blending Pilates with other fitness disciples – weight training and TRX – the studio inspires, motivates, and challenges its clients to build their strength, inside and out. Our classes are based on Pilates Principals and are designed to work the full body with a constant emphasis on the core. A strong core enhances stability and balance, improves posture, decreases lower back pain and enhances performance in everyday or athletics activities. 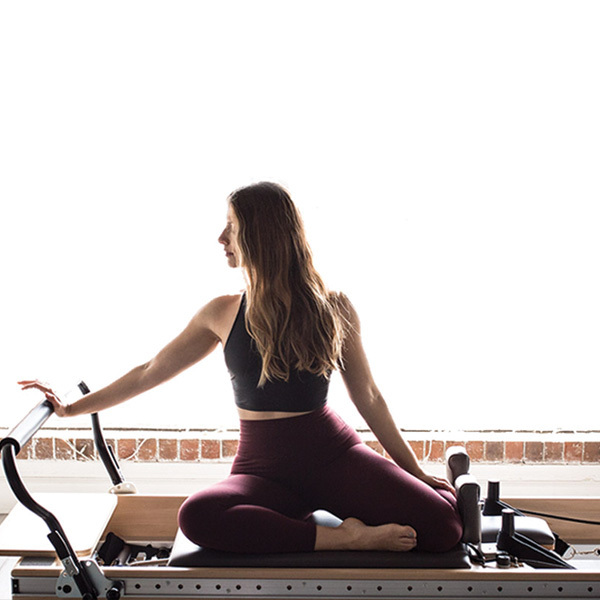 At Pilates on 3rd we challenge our clients by offering diversified classes to provide you with fun, unique and intense workouts that help to make you stronger and leaner. Our classes incorporate spring-based resistance training and other forms of resistance for deep muscle strengthening and development. We believe that strong body awareness facilitates a strong body, and that with a strong mind, you will be committed to your practice and achieve new levels of health and fitness! We believe Pilates is the foundation for movement and balance. Pilates builds a strong core, promotes stability and helps you move more efficiently. We offer small intimate classes that help correct form. Pilates is a low-impact workout that strengthens muscles while taking stress off the joints. studio and keep you dedicated to your routine. Pilates has been the best thing I’ve ever done for myself and my body. I’m stronger, leaner and over all healthier than ever at 53!